As VP Business Services Finance, Maarten Laarakker is responsible for F&A services delivery at Ahold Delhaize in Europe. Ahold Delhaize Business Services delivers a multitude of services including Finance (F&A, Business Process Improvements, Risk & Controls, Store Audit and RPA), NFR and HR to the Group’s food retail and e-commerce business in eight countries in Europe. His career in Finance spans over 20 years. 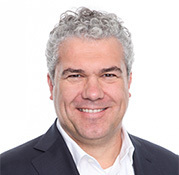 He joined Ahold Delhaize in 2004 and has held a number of senior leadership roles in financial controlling & reporting, business planning & performance, real estate finance, investment planning and business services finance in The Netherlands and the United States. Maarten originally trained as a registered accountant in The Netherlands and spent eight years with PwC prior to joining Ahold Delhaize.